Event Description You're Invited To Volunteer! 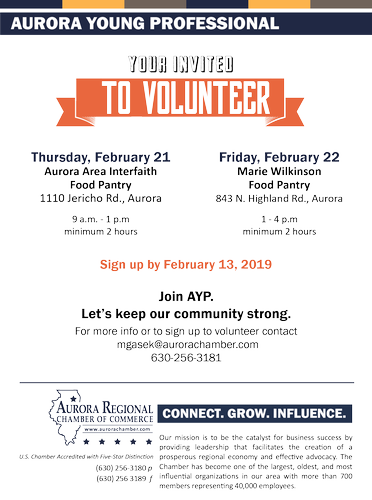 Join the Aurora Young Professionals helping our community. Pick your hours either day or both. A minimum of 2 hours is required for scheduling purposes with the pantries. Please RSVP your times by Feb. 13, 2019.